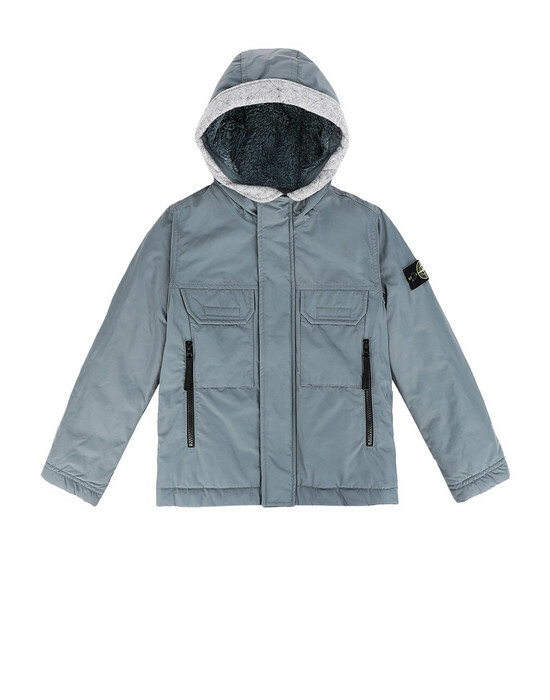 Jacket in matte nylon polyester rep, based on a military concept. The weft yarns are thinner in diameter than the warp yarns, enabling the fabric to be tightly woven in order to obtain a compact, wind-resistant surface. A special agent sprayed on the finished item makes the piece anti-drop. 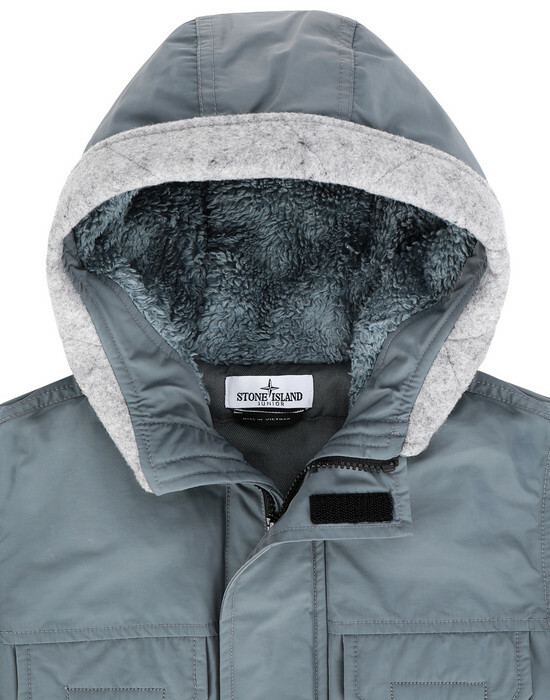 The garment is quilted with a PrimaLoft® layer, an exclusive blend of fibers with ultra-fine diameters that create millions of air pockets, offering outstanding insulation capacity. PrimaLoft® is the only alternative to down: it has the same soft touch but without the bulk. It delivers the highest warmth-to-weight ratio of all synthetic insulations. Teddy-lined hood with inner felt trim. Two long welt pockets with zippers. Two small pockets on chest with Velcro flaps. Ribbed inner cuffs. Zipper and Velcro fastening.